Is Walnut Oil a Good Medium for Oils? When painting with oils, you have many choices for mediums. Among those is walnut oil and, while it was often used in the past, many artists today wonder if it is a good substitute for linseed oil. The simple answer is yes, you can use walnut oil with oil paints, it actually works very well. There are a few points that you should know before trying it, particularly the fact that it can go bad (and stink up the studio) if not stored properly. Walnut oil is a natural alternative to linseed oil, stand oil, and harsh solvents. Many artists who are allergic to certain elements traditionally used in oil painting have turned to walnut oil as a medium. It can be mixed into paints and used like linseed or stand oil. It can also be used to clean brushes. Walnut oil is nothing new, however. A number of famous painters from as far back as the Renaissance period relied on walnut oil. Giorgio Vasari (famous for his 16th-century book, "Lives of the Painters, Sculptors, and Architects") claimed that walnut oil was better than linseed because it causes less yellowing over time. In a pamphlet titled "Traditional Oil Painting Without Solvents," M. Graham & Co. notes that their walnut oil and walnut alkyd medium resist yellowing and cracking. The company also states that it can be used to remove "color from artists' tools as effectively as odorless paint thinners" while not affecting the natural essential oils of the brush. It should be noted that the company's oil paints also have a walnut oil base. In the "Painter's Handbook," Mark Gottsegen also writes about the non-yellowing advantages of walnut oil. He goes further to point out that it dries faster than safflower and poppy seed oils. In Pip Seymour's "Artist's Handbook," we learn that walnut oil was preferred by painters in the past because of its very pale color and brilliant gloss. The book says that walnut oil "remains glassy, glossy, and hard-wearing over time, lending colors excellent saturation and depth" and "dries a little faster than poppy oil (3-4 days)." Why isn't everyone using walnut oil if it's so great? As pointed out by each of the sources already quoted, it doesn't store well and has a tendency to go rancid. This is true for many nut-based oils and it is important to store it properly. If you choose to use walnut oil, keep it in the refrigerator when not in use. Also be sure that it does not sit in direct sunlight and that the container is well-sealed. 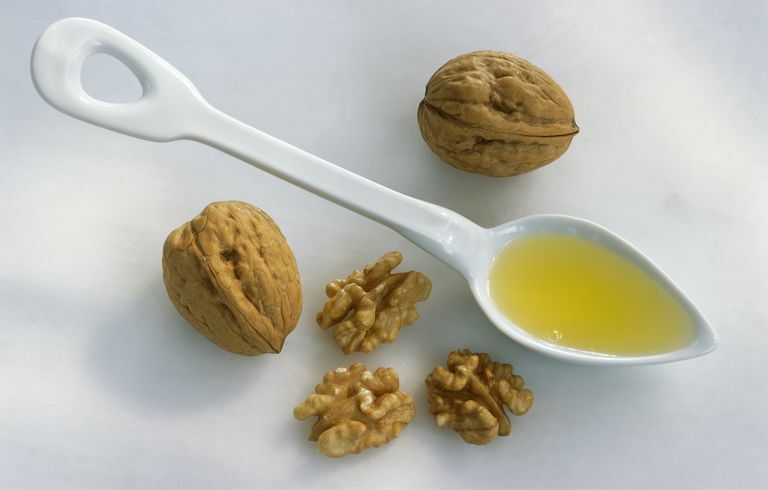 With proper care and attention, you should have no problem with your walnut oil. 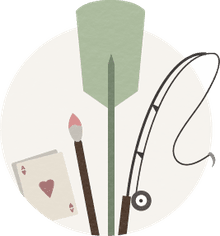 It may surprise you that all oils used for oil painting (including linseed, which is most commonly used), can start to turn rancid when exposed to air. It is part of the natural drying process. We simply don't notice it because only a small amount is mixed with paint and it generally dries or is used up before the odor becomes a problem. If an oil goes rancid in quantity, such as in a bottle, it becomes very noticeable. This is the likely cause of walnut oil's decline in popularity. Tip: If the oil hasn't thickened too much, you could continue to use it though you may find that visitors stop dropping by your studio. Can You Use Walnut Cooking Oil? It is so tempting for artists to find substitutes in the kitchen when it comes to oils. Walnut cooking oil is often cheaper, but it is not a good option for your paintings. Many cooking oils have additives that may hamper the drying process. For instance, Vitamin E or other antioxidants are used to increase the oil's shelf life. While that's great for cooking, it does so by retarding oxidation and this will naturally extend the drying period of any paint you mix with it. Oil paint already dries too slowly for some artists and there is no need to compound the problem. Save yourself a headache and buy artist-grade walnut oil.